When Valentine’s Day comes around, we tend to treat it as a “grown-up” holiday and focus our attention on our spouses. But what if we made it a family holiday and get the whole family involved in sharing love together? This is the perfect time to start a new family tradition for Valentine’s Day. 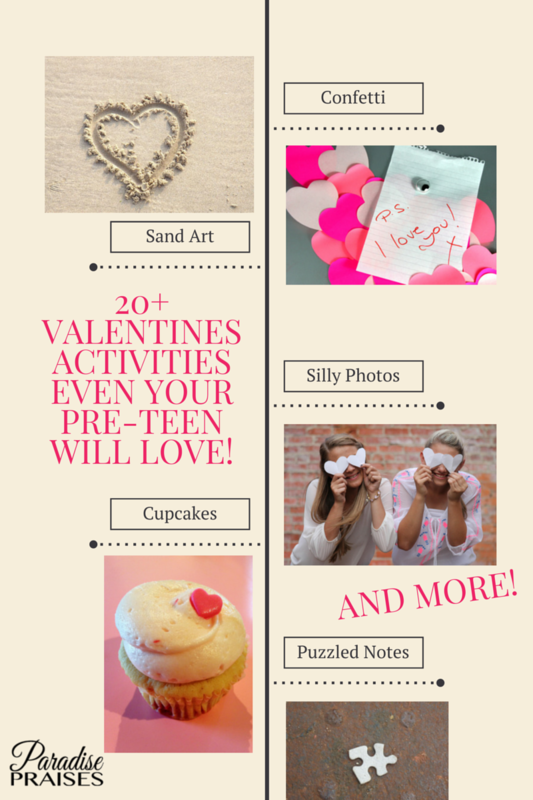 These ideas will help get your kids involved in the lovefest. Or maybe they’ll help you think of a few new ideas of your own. Ask the kids to tell you how they think Valentine’s Day got its start. Then help them do some research to see if they’re right. Have them write a story with the information they learn and share it with the family. Get the kids to make an “I love you because” book for someone they love. Have them write personal notes, draw pictures or include some favorite photos. 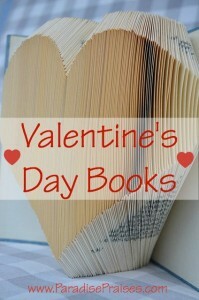 If you need some inspiration, check out our list of Valentine books here. Talk to your kids about people they know who may be lonely on Valentine’s Day. They can brainstorm ideas about how to show someone they care. They can make personalized Valentine cards, bake heart-shaped cookies or a cake, or even invite their friend to join your family for lunch or dinner. Help the kids plan a scavenger hunt for Mom or Dad. Have the kids think of clues for the hunt and hide them around the house. The end of the hunt can lead to a special gift like homemade treats, gift certificates for favors (wash car, empty the dishwasher, etc. ), and framed family photos. 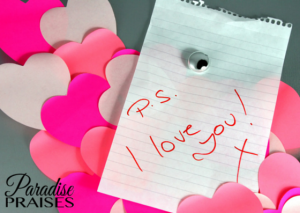 Mail your kids a Valentine card the old-fashioned way. Your kids will love finding a special surprise for them in the mailbox. Write about your hopes and dreams for them or share some special memories. In a pinch for time? Print out these free Valentines and leave them on their pillow Valentine's morning. Make Valentine’s Day a “red day”. Decorate the house with red hearts, streamers, and balloons. Wear red outfits to work and school. Serve heart-shaped red velvet pancakes for family breakfast. Make heart-shaped sandwiches using a cookie cutter for your kid's lunch. Share the love with Grandparents. Have your kids write personalized, individual notes to Grandma and Grandpa then hand deliver them with a bouquet of flowers or homemade treats. If the grandparents don’t live nearby, mail each one a note with a something special the kids make just for them. Tell your kids how you celebrated Valentine’s Day when you were a child. Get them to interview their grandparents about how they celebrated as kids. 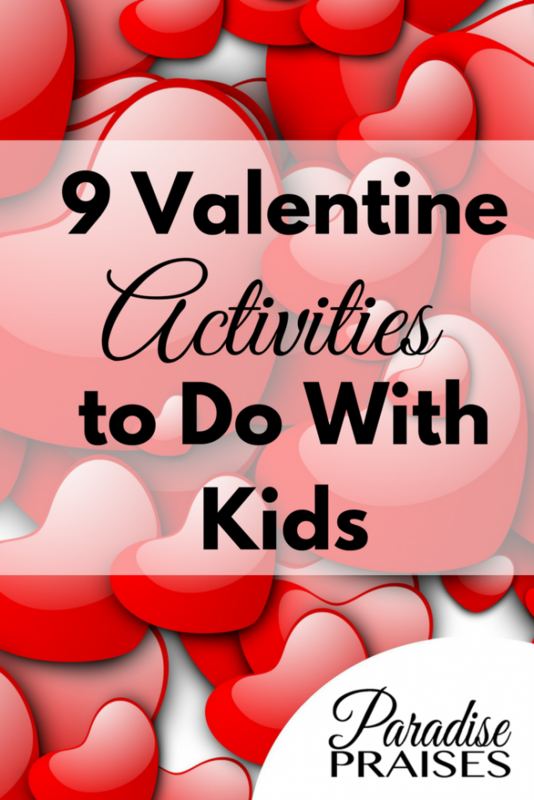 Then talk about some of the Valentine traditions your family has shared. Discuss how these traditions have changed and how they’ve stayed the same. Let your kids create a new tradition that you can start together. No matter how you decide to celebrate, showing love within the family is the best way to celebrate Valentine’s Day. Please share some of your favorite ways to show love to family members on Valentine's Day. Robin is a content creator, blogger, and virtual assistant providing podcast editing/producing, technical assistance, writing, editing, and social media to bloggers, coaches, and speakers. She enjoys taking these tasks off others' plates so they can shine in the areas they are gifted in. Traveling and spending time with her family are priorities. 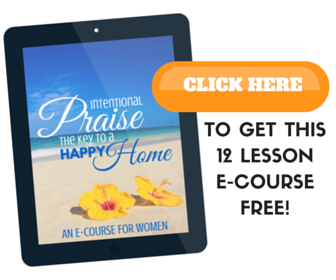 Connect with her on Facebook, Pinterest, or Instagram.